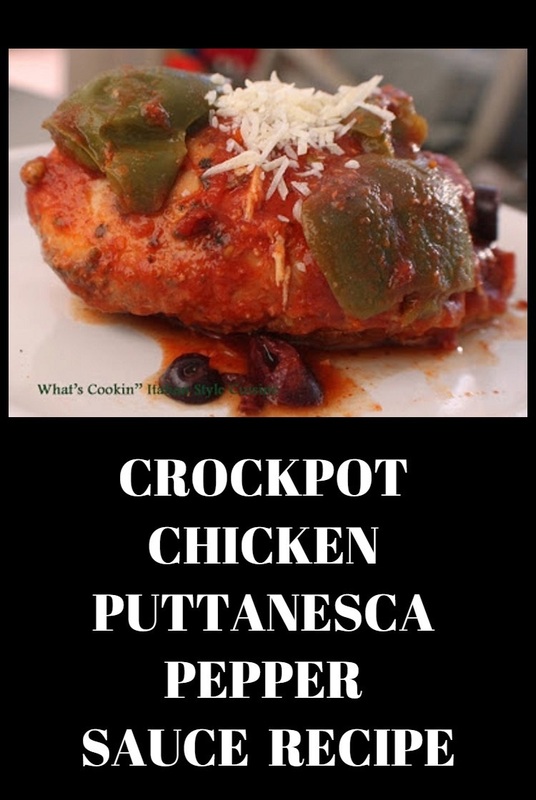 Crockpot Chicken Puttanesca Pepper Sauce is a delicious sauce with fresh plum tomatoes and pitted Kalamata olives. I have to say sometimes crock pot cooking even astounds me, this recipe was so much like old fashioned stove top I was over joyed by the results. Next time I would serve this wonderful sauce and chicken over a favorite pasta. This sauce is super special when made with the best olive oil you can buy. Fresh herbs, spices and the olive oil enhances the flavors in this slow cooked sauce. The anchovies and fresh tomatoes just puts it over the top. Sometimes I add just a splash or Merlot wine to make it just a little deeper in color and flavors. In a bowl mix all ingredients together to blend except chicken and olives. Place chicken into an oil sprayed crock pot on high. Pour the tomato mixture over the top. Cook around 4 hours. Add the olives. Cook up to 2 more hours or until chicken is cooked all the way through and tender. Usually on low it will take up to 8 hours total. Serve chicken garnished with grating cheese. The sauce can be serve over pasta or with other sides dishes of your choice. Mashed potatoes, corn on the cob or saute spinach go well with this chicken. Love crockpot recipes! This is definitely a keeper. Comfort food means many things and this just screams warm blanket, good book and a cozy fire. This sounds delicious. I've been trying to expand my crockpot recipes. I'll be trying this one for sure. Sounds wonderful. I love the crock pot too. Need to make more recipes using it. :) Have a great week! YUM! 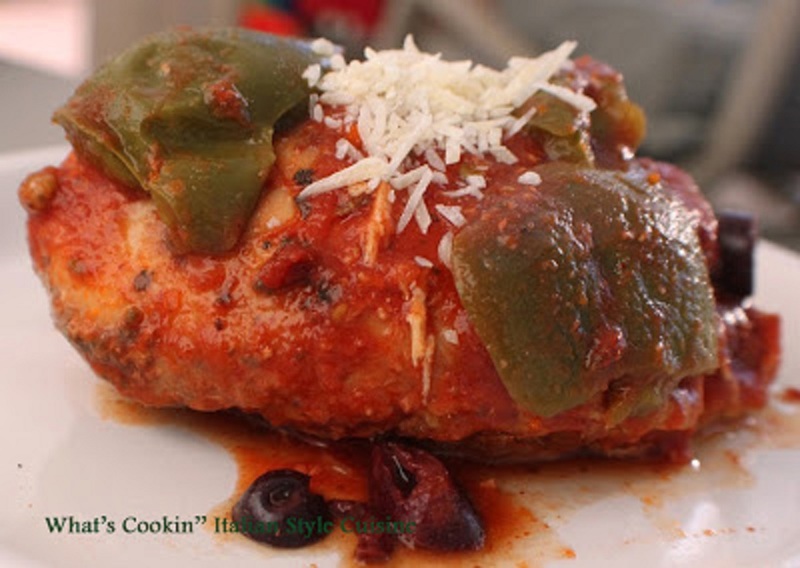 What delicious comfort food---and so easy in the slow cooker!